South Korean refiner Hyundai Oilbank has loaded a cargo of crude in Iran for delivery later this month, a company source said yesterday, while a cargo for refiner SK Energy arrived this week as Seoul resumes imports following a two-month gap. The north Asian country has restarted Iranian oil imports of about six million barrels per month, or 200,000 barrels per day (bpd) of full contracted volumes, after a way was found to get around a European Union ban on insurance cover. The cargoes are being transported under Iranian insurance cover to avoid sanctions, refining and government sources said. "Hyundai Oil bank lifted its first Iranian crude last week and it is expected to arrive later this month," said a company source who declined to be identified. Among South Korea's four refiners, only SK Energy and Hyundai Oilbank import Iranian crude. A spokesman at SK Energy's parent firm, SK Innovation, said its first Iranian cargo for this month arrived at the port of Ulsan on Tuesday. He declined to comment on the fate of its second cargo, but a government source has said it has already been loaded and should arrive later this month. All three cargoes - of 2 million barrels each - should be able to clear customs this month based upon arrival dates. The resumption of imports is unlikely to hinder South Korea's bid to extend a US sanction waiver in December as this year's imports are still down sharply from a year ago. South Korea's imports from Iran during the first eight months were 38.77 million barrels, or about 159,000 bpd, down nearly a third from a year ago, according to data from state-run Korea National Oil Corporation. 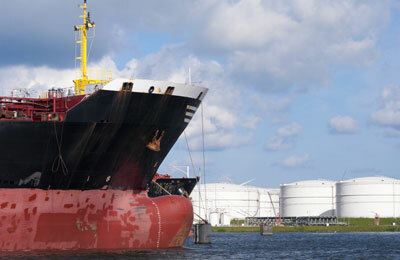 The world's fifth-largest crude importer, however, is set to remain under pressure to cut Iranian crude imports. Tehran offered to provide up to $1 billion of insurance cover to Iranian vessels shipping oil to South Korea as Iran seeks to keep its crude flowing to its top four customers: South Korea, China, India and Japan.